It’s been 70 years since one of Nevada’s worst winters wreaked havoc across the high desert. Virtually no winter seasons have been as brutal as that of 1948-49, when drifting snow and record-breaking cold waves shut down the Silver States’ major highways for weeks, isolating many rural communities. The extreme conditions nearly decimated Nevada’s extensive livestock industry as cattle and sheep became helplessly snowbound on the range without food. Weather conditions were so severe that a small group of desperate ranchers in hard-hit eastern Nevada devised an unusual plan to reach their starving livestock cut off from grazing by deep snow. 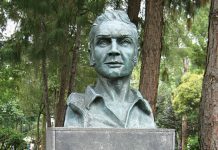 Ranchers and state officials were inspired by the besieged citizens of West Berlin, who at the time were receiving emergency shipments of food and fuel airdropped by U.S. military planes in the Berlin Airlift. 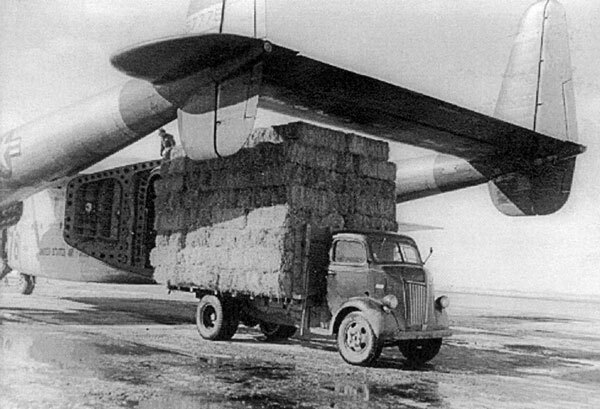 The Nevadans organized Operation Haylift, a massive relief effort using U.S. Air Force C-82 cargo airplanes, known as Flying Boxcars, to deliver alfalfa and save their starving animals. Operation Haylift was collaboration on a grand scale, involving more than 1,000 men and women of the Armed Forces and National Guard, as well as civilians from Nevada and California who came to the rescue like a modern cavalry. The drama began when a vigorous storm system roared into the Silver State right after Thanksgiving 1948. Nearly 1 foot of snow fell in some places with wind gusts in excess of 70 mph. More storms followed. The relentless snowfall forced residents in parts of the state to bore tunnels through 10-foot drifts. Deep snow thwarted grocery deliveries and gasoline was doled out on an emergency basis. Cattle country near Elko and Ely was soon smothered by 2 feet of snow. More than 40 inches of the white stuff buried the noted mining camp Jarbidge, located in the northeast corner of the state. Between storms, the snow cover and clear skies allowed daytime heat to radiate back into the atmosphere, causing nighttime temperatures to plummet. On Christmas Eve, the mercury slid to 8 degrees below zero in Elko and to 17 below in Ely. Las Vegas residents and visiting tourists were spared the worst of the snow but were shocked when the temperature nosedived to 17 degrees. People stayed home and kept close to their stoves. They didn’t go to the movies or holiday parties. As temperatures slid into the single digits in western Nevada, pipes froze and broke in dozens of Carson City homes. In Reno, the deepening frost buckled city streets. When the bitter cold froze Virginia City’s water mains, several sections of town were cut off for weeks. Heavy snow fell in the Tahoe Sierra, which helped protect infrastructure from the frigid temps plaguing the Great Basin. Despite the severe cold, some ranchers were optimistic. The previous winter had been one of the driest in Nevada history — Reno recorded less than 1 inch of precipitation in all of 1947-48 — and the growing Sierra snowpack held promise for abundant water in the spring. Elko County ranchers reported ample hay supplies, but in Nye County feed was reported poor and most watering holes around Eureka were frozen. 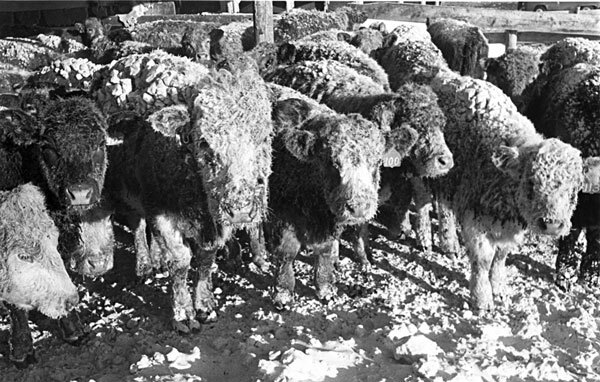 Comparatively mild winters in the previous decade had led some to risk grazing their animals on the open range instead of rounding them up into home-ranch corrals for the winter. Centered around Ely and Pioche, these stock operators were caught with their cattle herds and sheep flocks in the hills and open range. Back in 1890, similar conditions killed 70 percent of the state’s livestock herds when there were no planes to save the day. Nevada Gov. Vail Pittman happened to be in Washington, D.C., for President Harry Truman’s inauguration. He alerted the newly elected Chief Executive and Congress of his state’s desperate situation. President Truman promptly declared the region a disaster area and authorized an emergency $50,000 grant. Almost overnight, county, state and federal agencies joined forces to force open Nevada highways so trucks could distribute feed and haul water to struggling ranchers. Cargo airplanes would be used to reach the marooned herds out on the range. General Mark W. Clark from the Navy airbase at Fallon took charge as coordinator of Operation Haylift. He secured 36 Flying Boxcars from McChord Field near Tacoma, Wash., and ordered a rapid commencement of the emergency airlift. The goal was to save an estimated 35,000 head of cattle and 100,000 sheep marooned in White Pine, Nye and Lincoln counties. Ranchers had tried to move the animals to neighboring states for grazing, but California was already overstocked with 60,000 head of transplanted cattle and heavy snowstorms in Arizona and New Mexico had covered grazing lands there. The scale of the potential disaster was massive, and it would require an unprecedented, Herculean effort to save nearly 140,000 animals and Nevada’s ranching industry. Stay tuned for Part II in the next edition and at TheTahoeWeekly.com. Mark is an award-winning, nationally published author, historian and professional speaker with seven books and more than 800 articles in print. 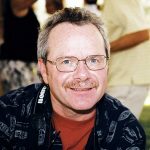 A prolific writer, Mark has received the Nevada State Press award five times. 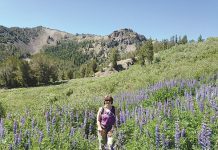 He is a popular lecturer and experienced field trip leader who has lived at North Lake Tahoe since 1978. 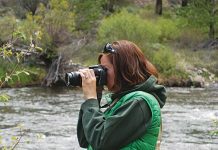 He teaches Sierra Nevada history using entertaining stories, slide shows and informative tours. He has been a frequent guest on National Public Radio and has appeared as an expert consultant on CNN, The History Channel and The Weather Channel, as well as many historical documentaries.